I'm honored and proud to have been crowned your 2013 Miss Wisconsin Collegiate America, forever! I enjoyed a fun-filled year of appearances, service to my community and volunteerism, promoting the National Anti-Bullying platform, in addition to supporting local charties and events. Even though my reign is over, my community involvement continues! 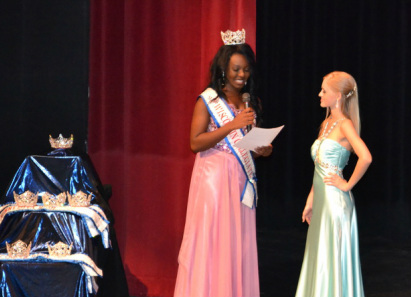 Sign up for the 2014 Pageant, held August 17, 2013. (The MN website is where you can sign up for Miss Wisconsin)!!!! See you there!